I received this in an email from Dad Vince yesterday and sat with my jaw against my chest as I watched this ingenious system at work. Think about how this could improve the congestion in cities across the USA and allow for pedestrian areas at some famous tourist areas. I posted an update on Facebook yesterday, but wanted to acknowledge the 97th Birthday of Mr. Pinetop Perkins for those who do not do Facebook or might have missed it. I got to see Mr. Perkins 3 years ago at the Beale Street Music Festival (where I took this picture) and when he completed his set, he talked to people at the side of the stage. Amazingly, he is still touring and I am listing his schedule here, because if you live anywhere near where he is going to be - you MUST go and see him. Appearing at "Heritage Music Bluesfest"
Appearing at "Niagara Falls Blues Fesitval"
Appearing at "Shedhed Blues Festival"
Appearing at "Arkansas Blues & Heritage Festival"
Appearing at "Amelia Island Blues Festival"
So, Ms. Lohan is going to the joint. Sentenced because she kept breaking her parole stipulations, she cried and apologized in court the other day, but is going to be spending 90 days behind bars and then 90 days in an inpatient rehab. She said more than once she did not consider what she did a joke, yet there on her middle fingernail was a message that TV cameras caught and are now all over the internet. I wonder if the judge will decide to increase her jail time for being such an idjit! This is NOT photoshopped. I saw it on good Morning America and you can find it all over the internet. That parking system is *genius*!! Nothing is uglier than a big old multilevel parking garage. And, LL? I've got nothin'...here's hoping that 90 days in the hole will smarten that kid up. Can you imagine the political logistics of getting that parking system approved in Manhattan? It is pure genius, but the cities that need it most would be the most difficult places to get it implemented. Just sayin'. Lindsay seems to be traveling the same road as Robert Downey Jr. She's going to be forty before she gets her head on straight. By then, there won't be any roles for her. Just sayin'. DRILLERAA: Not sure it would be political. Manhattan could never implement with all of the subway systems. Probably the same with most of Boston and Washington. VRANKIE: The man with multiple names! Just two? 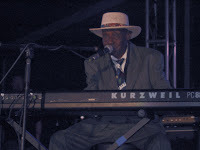 Happy Birthday to Pinetop Perkins, and many more to come hopefully. Amazing to see the tour dates of both special musicians. As to that redheaded creature...well.....she deserves to spend as much time in lock up and rehab as necessary to try and screw some sense into her. If that's even remotely possible. Oh, and she will probably NEVER follow in the footsteps of RDJ. He has actual TALENT. LL has just asked for this, I think. Pretty ballsy to have that written on your nails when going to court. That parking structure is fascinating! The parking system wasn't bad, but that tight jeaned, pouty young thing driving the car was Hawt! Imagine all that went into the planning of that parking structure; beyond amazing. Not sure LL will ever get it together with the family she has. Sad, pathetic and so much more.